Ideally, your recording studio should have no sound reflection at all, so that what you record is just the full, rich, pure sound eminating from whatever sound source you are using, whether from live performers or recorded sources. Acoustics In A Box™ sound absorber panels are literally the best components you can buy for user level installation, for both surface sound absorption and as bass traps at corners. As a bonus, the panels are considered by many to be more attractive than ordinary foam components, as well as being less expensive. 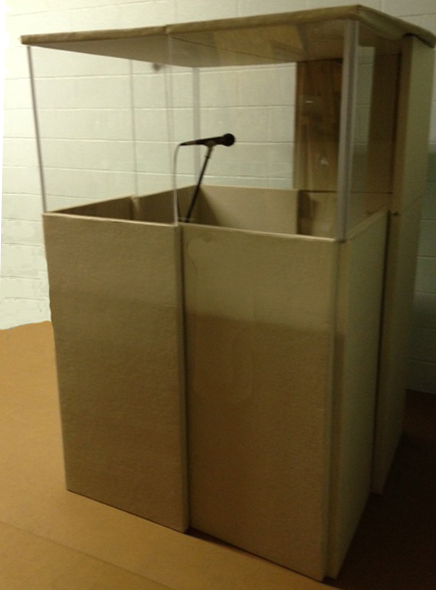 The Acoustics In A Box™ system is quite simple to use, by design. The black hole mounts are attached to the wall or ceiling using drywall screws or adhesive, and the panels then install onto tabs on the mounts. For your studio, a combination of side sloping panels mounted at each wall to wall corner and a series of down sloping panels installed near the ceiling, and 4-12 inches apart where possible, working around doors and other obstacles, should give you adequate sound absorption for even the most demanding home recording studio requirements. To get any detectably better sound performance, you will need to add another zero onto the total cost of outfitting your room with acoustic treatments. 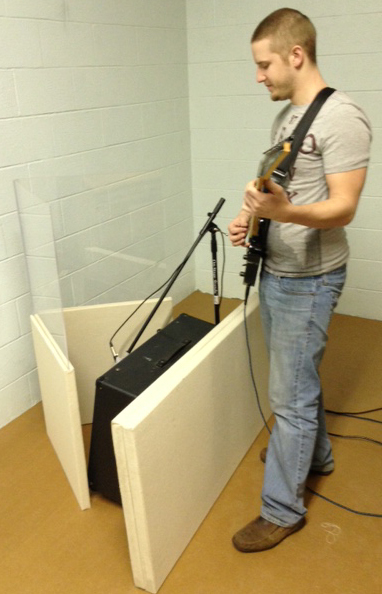 In addition to (or in place of) treating the entire room you want to use as a recording studio, Stage to Studio components can be used to create partial or complete sound booth enclosures quite inexpensively. 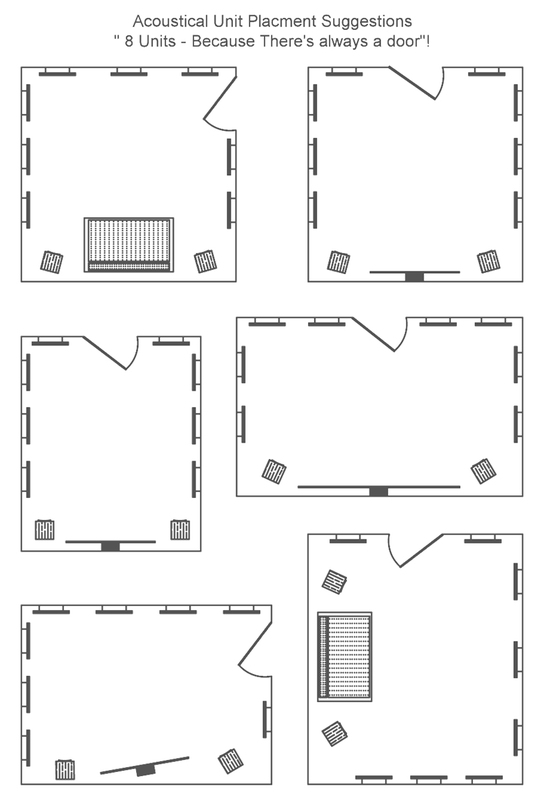 Stage to Studio components include a choice of three different 1 inch thick folding sound absorber panels (4'x4', 4'x2', and 4'x32") and four different 1/4" thick folding plexiglass panels (4'x4', 4'x2', 4'x32", and 4'x16".) 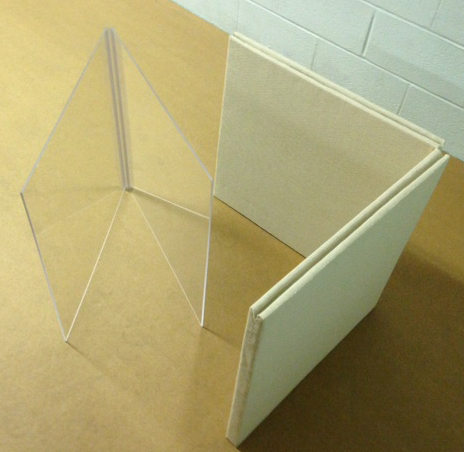 To assemble a booth, you can stack interlocking absorber and plexiglass panels to make the booth the size, height, and configuration you want, up to and including a fully enclosed booth. The panels simply interlock vertically and overlap a couple of inches horizontally where they come together, so setup and take-down takes mere seconds, and requires no tools or fasteners, letting you easily transport your micro studio and use it wherever you need it. Using the plexiglass panels as sound reflectors and the absorber panels, either together or separately, only your personal creativity limits your ability to create the special sound you need and want.